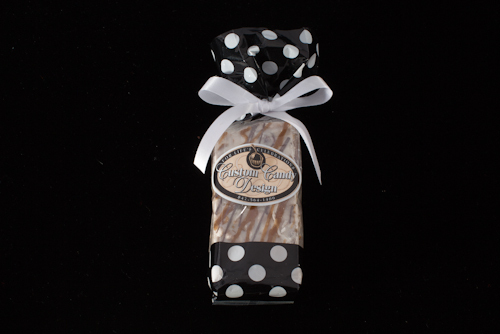 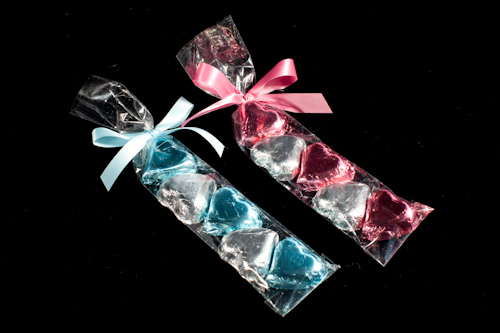 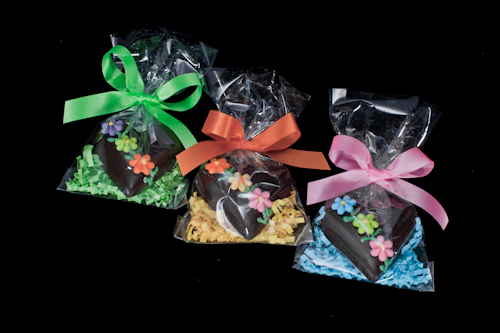 "For a wedding, shower, baby shower, christening, Bar / Bat Mitzvah, sweet 16, graduation or any celebration , Custom Candy Design provides a wide variety of party favors. 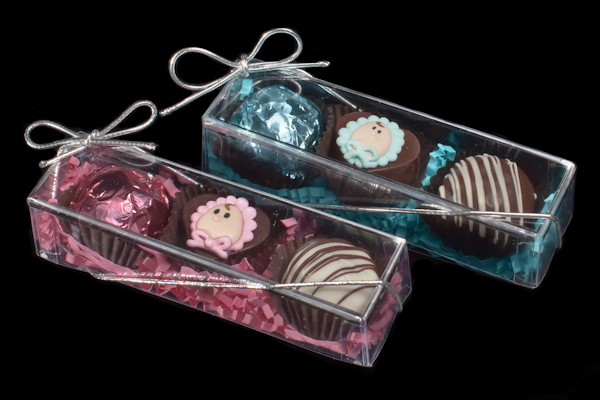 One piece clear box with Gold Foil Top - Cherry or Truffle. 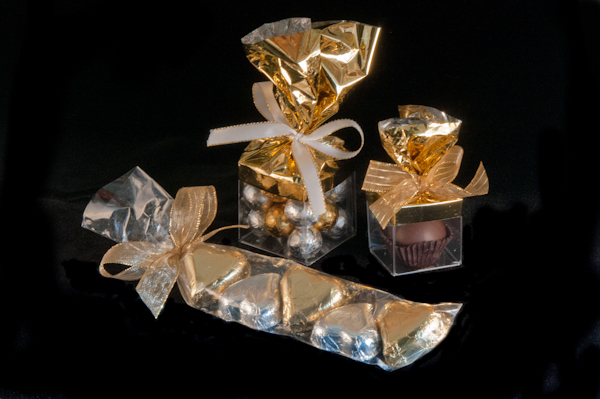 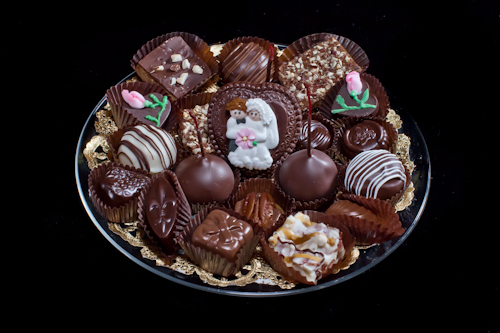 Larger clear box with Gold Foil Top - Choice of assorted candies. 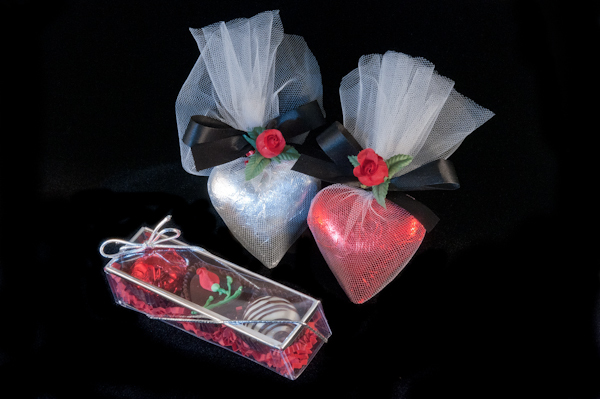 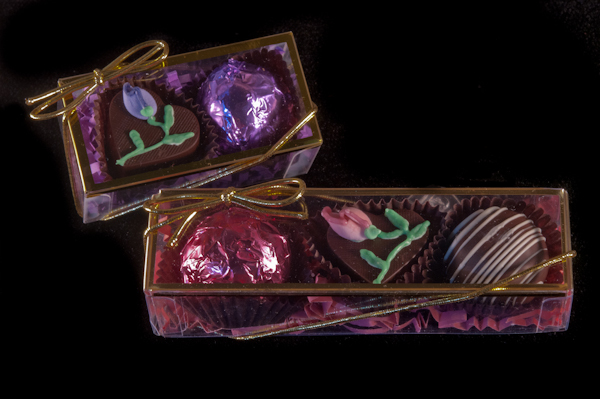 3 or 5 piece Heart Strings, Milk/Dark Chocolate - Foiled any color.